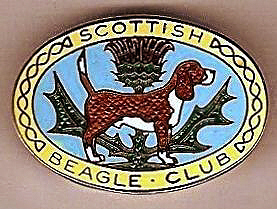 After the second world war the Beagle increased in popularity, especially during the 1960s, leading to the formation of the Scottish Beagle Club to promote the breed in Scotland. The first meeting of Founder members occurred on 13 July 1963 at the Waverley Market, and our first AGM on 23 February 1964 at the New House Hotel. 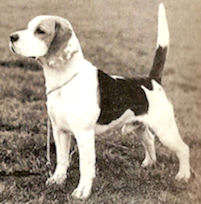 The early years were in particular important to provide a firm footing and direction for our club, to enable us to not only promote the Beagle but to improve the quality, the health, well being and enjoyment of owning this breed through the generations. The Club’s first Open show was held 5 September 1964 attracting an entry of 109 judged by Veronica Collins who awarded Best in Show to Mr D W McKay’s Easthazel Candor bred by Mrs Mowbray. To temp youngster into the showing of dogs our first Open show in 1964 included Junior Handling classes split into two age groups to encourage youngsters to participate, learn and enjoy their beagles. This continues today at both of our shows. In fact during the latter part of the 1960’s throughout the 1970’s several of our handlers competed and achieved the highest honours in the UK, in particular Hazel Kirkland did exceptionally well. 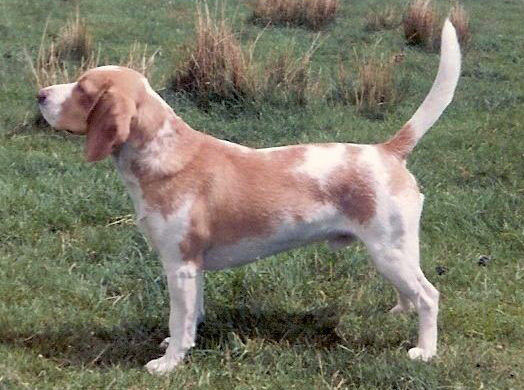 It is interesting to note that during the 1960’s the main colour in the ring was tri colours (black, tan & white) the colours of lemon and white or tan and white (* picture below) coloured beagles were rarely seen in the show ring. Whereas, now their numbers have greatly increased. Unfortunately as then, we do not see mottle’s that often in Scotland. Millmar Mellow Russet JW. 1968. In 2014 we will be celebrating our 50th Anniversary which is a testament to the hard work of past Committees and members of our club. To all, who through their determination and love of the breed have helped promote the enjoyment of owning this ’merry hound’, a sincere ‘thank you’.